The Italian novelist Edmondo De Amicis said, “Istanbul, a universal beauty where poet and archaeologist, diplomat and merchant, princess and sailor, northerner and westerner screams with same admiration. The whole world thinks that this city is the most beautiful place on earth.” The city is so captivating but some are put off by recent terrorist attacks and conflict and the impression that the city is not safe for travelers. But it is! Our 5-day suggested itinerary is designed to show you the best the city has to offer and what are the things you can accomplish. Depending on your interests and travel priorities, you can certainly mix and match destinations, activities, and attractions to create your own itinerary. Language – The official language of Turkey is Turkish, which is spoken by majority of the population. There are over 30 different languages spoken in the country but the other 3 that is most common are Kurmanji, Arabic and Zazaki. Most people in Istanbul, especially those who work in the tourism industry, can speak English. However, not all people in the country can speak or understand English so learning a few basic Turkish words and phrases is recommended. Just like in other countries, speaking at least some Turkish phrases or attempting to learn is greatly appreciated by the locals. 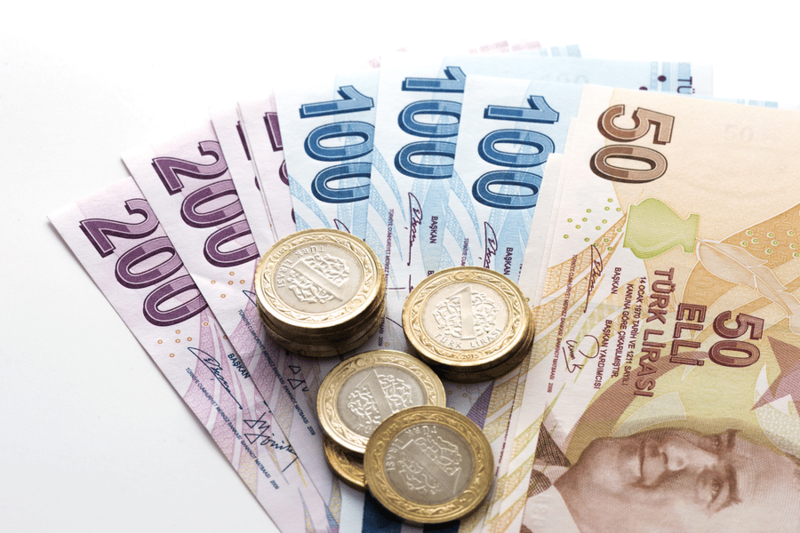 Currency exchange – The official currency of Turkey is the Turkish lira (TRY). Exchanging money in Istanbul is easy and follows the same standard to elsewhere in Asia. You may exchange currencies at all banks, post offices and money exchange shops. International credit cards are widely accepted but always prepare cash for small stores, shops and restaurants. You can also withdraw cash from bank ATM’s (look for ATMs with Global ATM logo correlated with Cirrus, Interlink, Star, etc.). Safety and security – There is currently no nationwide security advisory in effect for Turkey. Check your country’s travel advisory website to get the most up-to-date information for your personal safety abroad. Keep your guard up at all times and avoid any streets that are not crowded. Do not carry debit or credit cards with you, or hide it in your bra or shoes. Always bring identification and make sure to photocopy your passport in case of loss. Avoid non-essential travel to all areas within 10 kilometers of the Syrian border and the south eastern provinces. Etiquette – Turkey is an Islamic country so it’s important to remember some do’s and dont’s to enjoy a faux pas free journey. There’s no need for a foreigner to feel obligated to dress in traditional Turkish clothing. Modesty is the key in Turkey. For women, avoid revealing clothes so you won’t get unwanted attention. Jeans and shorts not higher than mid-calf, knee-length skirts partnered with T-shirts or blouse are acceptable. For men, loose cotton shirts, T-shirts and pants are okay. Lastly, while visiting places of worship, you should be fully clothed. Getting around – Istanbul features a good public transport network consisting of taxis, public buses and trams. Trams are the cheapest and most popular way of getting around. It only costs 2 liras per trip to any part within the city. If you choose to stay in the Sultanahmet or Beyoğlu area, then getting around by foot is recommended as most tourist attractions are in short walking distance. Where to stay – Istanbul accommodation options are diverse, with something for every level of comfort and budget. The most frequent question from first time travelers is, “What’s the best area to stay in when visiting Istanbul?” Without a doubt, the best place to stay in the city is the Sultanahmet area. It contains almost all of the main sights and the best places to eat. So, staying here makes a lot of sense, especially if your time is very limited. If you’ve been to Istanbul once before, and would like to venture away from most tourists, then we suggest the Beyoğlu area. After your arrival at Istanbul Airport, check in to your preferred hotel in Sultanahmet area known as the old Istanbul. 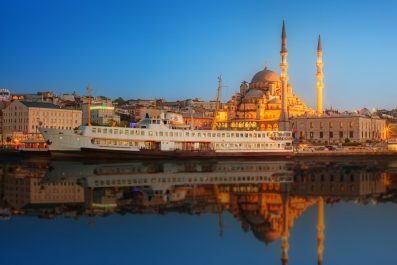 Avail the afternoon for a half-day Bosphorus cruise, which can be arranged through one of the travel agencies or directly through your hotel in Istanbul. The tour runs for 5 hours along Istanbul’s Bosphorus Strait and the Black Sea. A delicious lunch will be served which typically includes grilled fish and chicken, fresh salads, Anatolian cheese and Turkish desert Baklava. Rates for half-day Bosphorus cruise range from 45 – 52 USD. After the cruise, you can opt to go back to your hotel or go straight to Galata Bridge, one of the best places for sunset viewing. 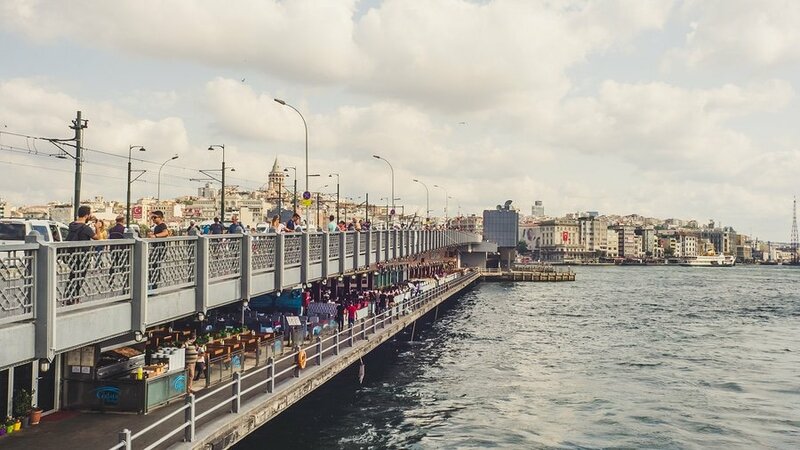 This two-tiered bridge is very famous among tourists because it connects Istanbul’s historic old town and new town. End your day with healthy and delicious dinner at Giritli Restoran. The rate of 50 euros per person might scare other tourists, but this restaurant offers authentic turk meals such as freshly fished seafood, grilled octopus, fresh veggies with herbs, olives stuffed with walnuts and feta and so much more. The best part is unlimited glasses of local wine, rakı or beer. The best place to start your tour in Sultanahmet (Old Town Istanbul) is the center of ancient Constantinople at the ruins of Roman Hippodrome. Most of the structures built in this area are long gone as it was converted into a park that we see today. 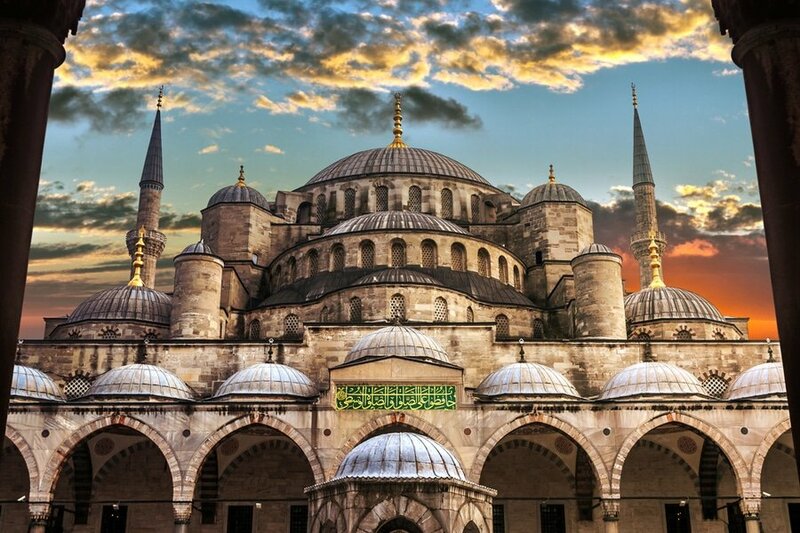 Your next destination is the Blue Mosque, located in the former grounds of Constantine’s Grand Palace. This impressive mosque was built with blue Iznik tiles with different abstract and geometric patterns, flowers and trees. 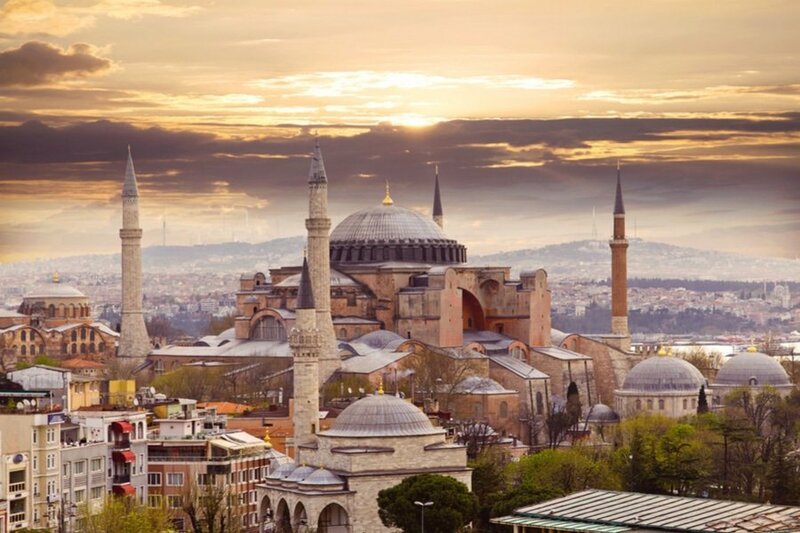 After lunch, continue your walking tour by visiting Hagia Sophia, an architectural wonder built as a house of worship for different religions until it was converted into a museum in 1935. Hagia Sophia is pretty huge and there a lot of areas to explore so it’s best to get a brochure with a detailed map prior to entry. Your second to the last destination is Topkapi Palace which used to be the home of Ottoman Sultans for over 400 years until it was converted in to a museum in 1924. 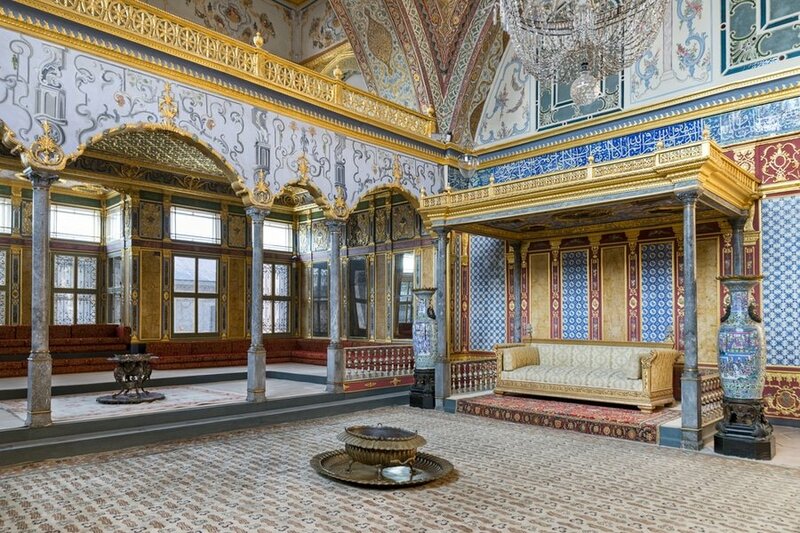 The palace was very well preserved as tourists can still explore the ancestral residence of the Ottoman Sultan. There are also many Relics preserved in the palace such as gifts presented to the Sultans during wedding and birth, weaponry collection as well as Chinese and Japanese porcelain. End your day at the Grand Bazaar, one of the oldest markets in the world. You can find almost everything inside its covered market, from Jewelry, silk, ceramic dish ware, mosaic, Turkish delights, traditional Ottoman clothing and tons of knock off designer clothing. You might need an extra suitcase though which you can also find here. Don’t forget to haggle to get the best bang for your buck. Aside from shopping, Grand Bazaar is also a food destination. You can explore its back alleys and interior courtyards to find restaurants frequented by locals. There is no better way to start your third day in Istanbul than a visit to the underground complex of Basilica Cistern. This Byzantine structure was built in 532 by the order of Emperor Justinian to serve as a reservoir for the Great Palace and other surrounding buildings. During the Ottoman Empire, it became a dumping ground and was only renovated in 1985. 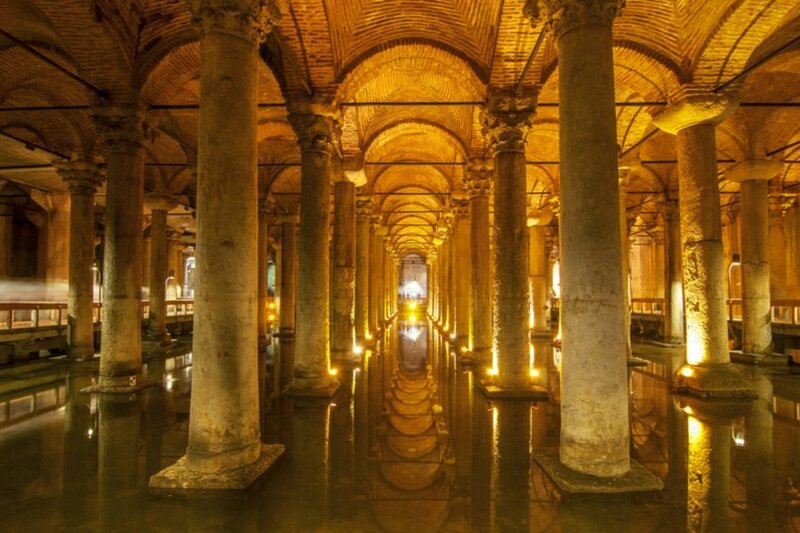 Today, the largest surviving Byzantine cistern in İstanbul is one of the top tourist destinations in the city. After your underground tour, make your way to Istikal Caddesi, one of the most famous pedestrian streets in Istanbul. Located in Beyoğlu area, Istikal is home to elegant shops and stores, cafes and restaurants, galleries and cinemas. It was once the most elegant street in Istanbul and is formerly known as the Grande Rue de Pera. You may grab some lunch here before you make your way to Taksim. After lunch at Istikal Caddesi, take a funicular from Taksim to Kabatas. Then, take a ferry to Kadikoy. Here, you can explore Kadikoy Market, a daily market in the small village of Kadikoy and is known as the largest bazaar in the Anatolian side. Aside from its vast array of fresh produce and food products, the market itself has a great atmosphere with an equally interesting history. End a whole day of adventure by going to a Hammam (Traditional Turkish Bath) for a relaxing bath experience. Cemberlitas Hamami, located on Divanyolu Street, is one of the oldest Turkish baths in Istanbul and is a popular bath house among local and foreign travelers. 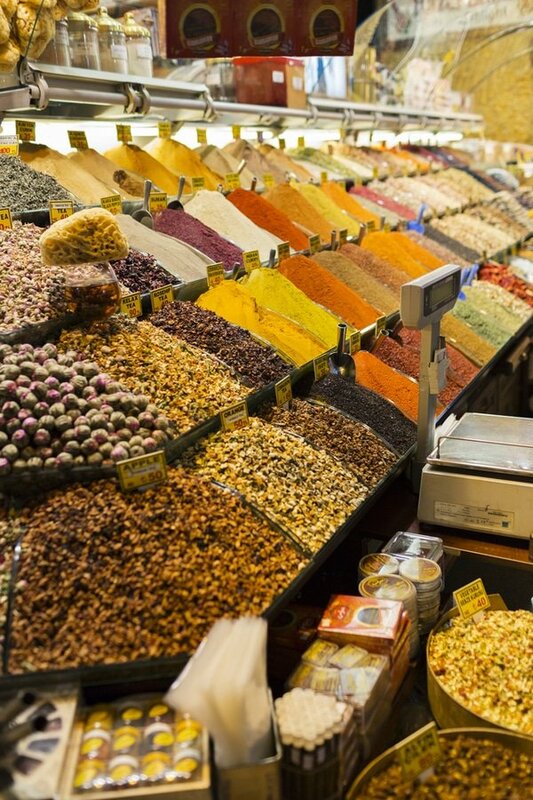 Come to grips with Ottoman’s history and culture by taking a stroll through the Spice Bazaar (Egyptian Market), one of the city’s main market situated along Eminönü quarter. The market has plenty of interesting stalls selling spices and dry herbs, fresh food, craft ware, leather goods, handmade jewelry and Turkish souvenirs. If you’re not yet certain what to buy, you can return to the market on your last day. Then, grab some authentic Turkish lunch at one of the hole-in-the-wall restaurants in the market. After your market tour, head to the Eminönü Bus Station and take a bus going Edirnekapi Bus Stop. 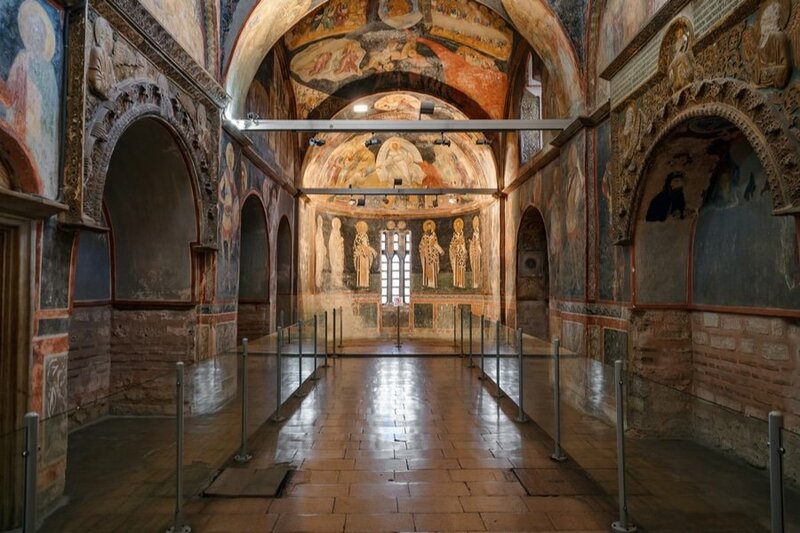 From there, you can just walk to Chora Church, a late Byzantine church filled with iconic murals and mosaics. 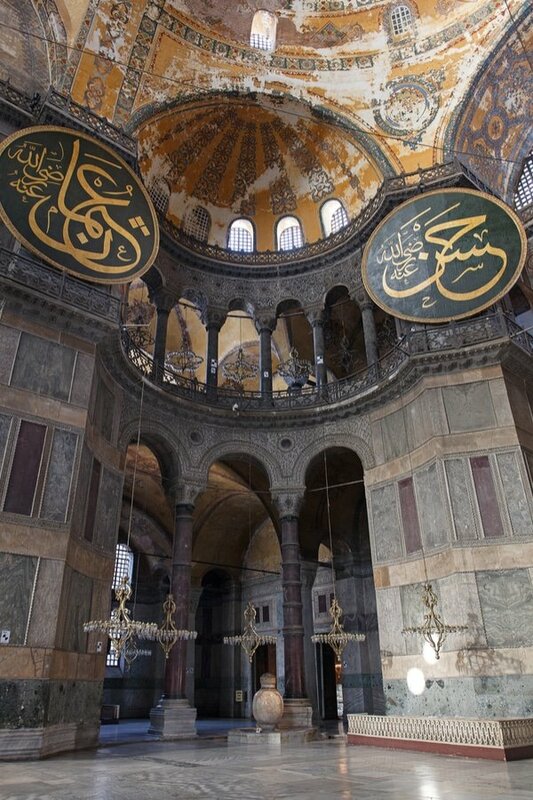 Just like Hagia Sophia, it was originally constructed as a Byzantine church, then converted to a mosque and finally into a museum. You can spend the afternoon at the charming vintage neighborhoods of Balat and Fener. In the evening, you can also avail a tour to watch the Whirling Dervishes in the Hodjapasha Cultural Center. This ceremony is part of Turkish History and Culture and can only be performed by religious men. It is said that the motion of men whirling endlessly, with their arms wide open, their right hands directed to the sky, represents spiritual journey and the search for truth and perfection. Your final day in the city can be spent on last-minute shopping and seeing those attractions that you haven’t yet had time for. You may also dedicate this day to the Sultanahmet area. Head back to your hotel, then to the airport in time to check in for your international flight, or you may opt to continue traveling independently in Turkey, or extend your stay in Istanbul. Make sure to stock up on some Turkish Delights before you go! This is the end of our 5-day suggested itinerary. Remember, this is just a guide for planning and is in no way, shape or form, the only way to travel the city. There are several alternative routes of travel within the city and it will depend on your intended length of stay. Enjoy Istanbul! Have you been to Istanbul or anywhere else in Turkey? Do you have any tips or suggestions to share? If so, you can leave your comments below.